5 TRAVEL SKINCARE KITS TO PACK THIS SUMMER. I wish I could take my whole beauty cabinet away with me sometimes. I succumb to overpacking, and that includes beauty products. 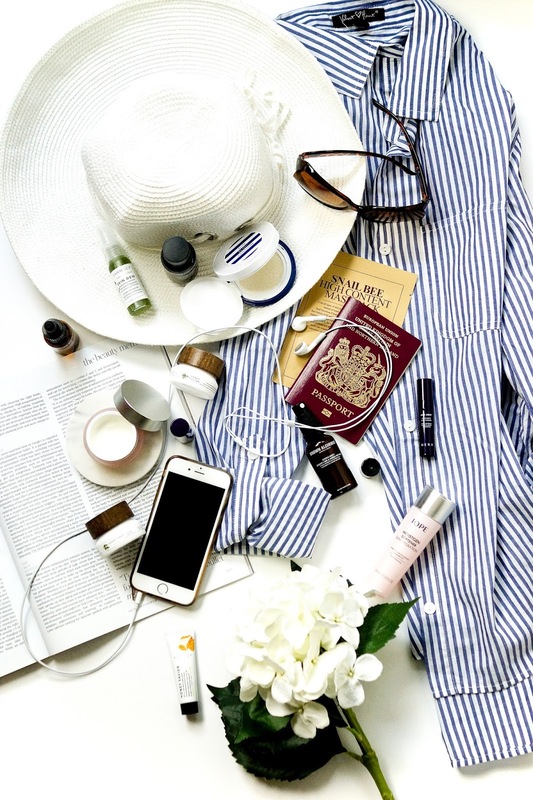 This is where teeny curated kits of pint-sized offerings come in incredibly handy -skincare minis are invaluable when you're off on your travel. I'm currently planning what to take with me for our trip next month so thought I would share 5 of my favourite travel skincare kits with you today. Hope you enjoy! 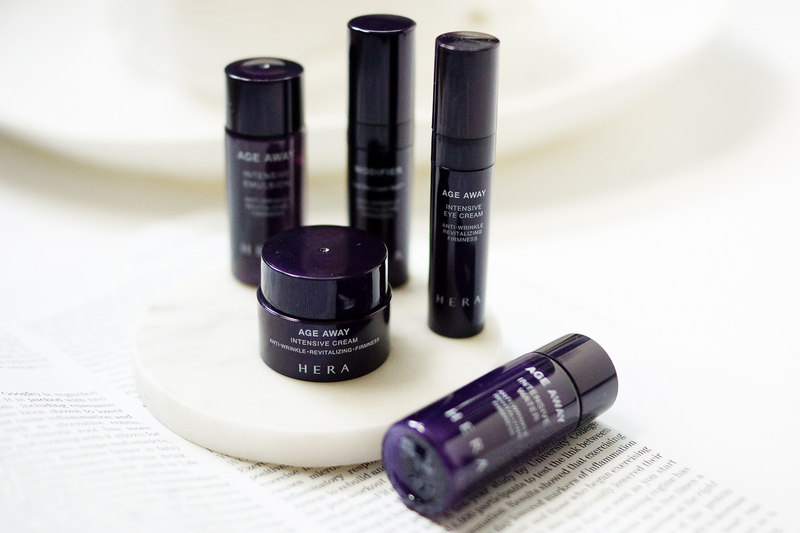 HERA AGE AWAY - for a little on-vacation firming and lifting. I love this line as it is, and the minis are the perfect size for a short getaway. It includes a toner, milky lotion, serum, eye cream and moisturiser, all of which protect against pollution, whilst increasing moisture, suppleness and elasticity. The cream and serum in particular leave your skin feeling plump and baby smooth, and wear beautifully under makeup, so a lovely easy set to take away travelling. 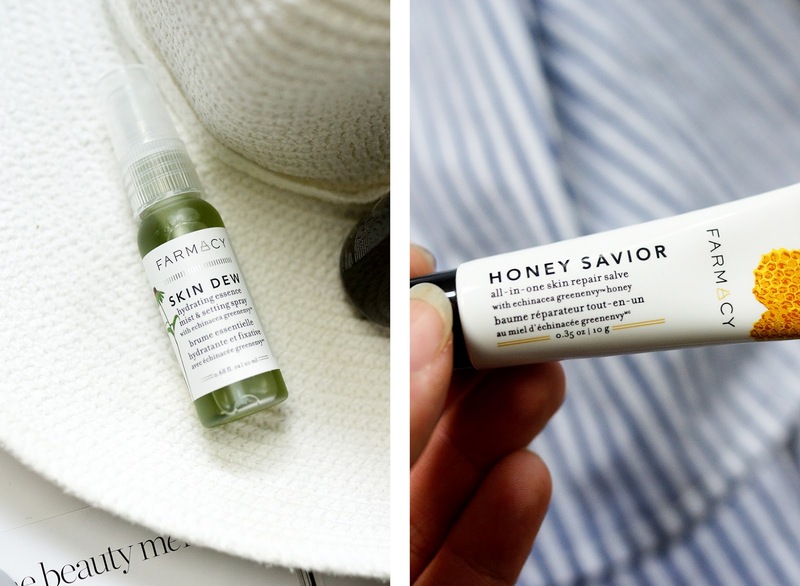 FARMACY SKIN SAVIOUR KIT - for envigoration, repair and glow. I've been trying the Farmacy kit c/o Cult Beauty for a few weeks now and I've only positive things to say - I'll definitely be trying more from the brand. This is my first dip into Farmacy skincare but I've heard plenty about their home-grown, vitamin, honey, antioxidant and nutrient enriched formulas. The Honey Saviour salve, albeit only 10g, should last you ages, as you need such a small amount of this thick, glossy balm - rich in castor oil and honey, it made light work of a cut I'd got on my lip. The night balm and honey mask are both incredibly nutritive, suitable for all skin types, and great to keep in your suitcase for those inevitable occasions your skin needs repair and restoration - the honey mask in particular gives the skin such a glow, and it reminds me of my very favourite Oskia and REN masks I mentioned here, I'm impressed it's made that immediate impression on me! Their Skin Dew mist includes kiwi and peppermint to brighten and refresh your skin, and the size makes it perfect for your handbag to spritz on the go. 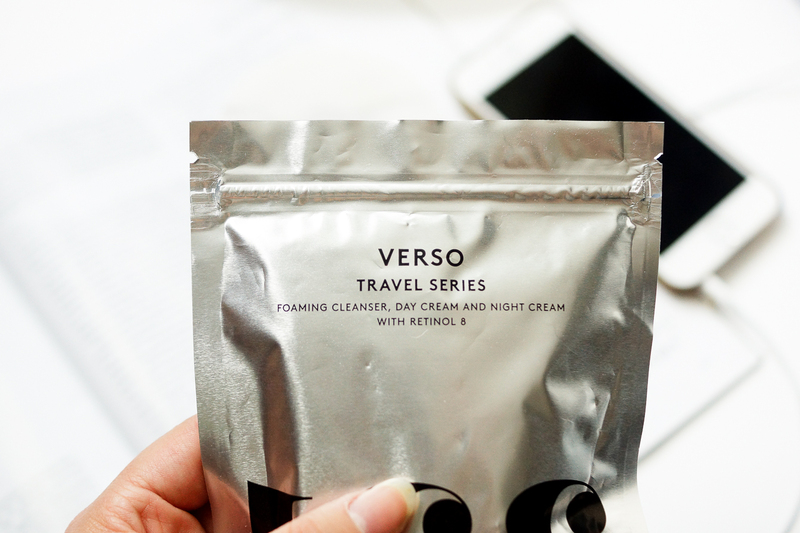 If you're somewhat of a regular reader, you'll know my love for Verso skincare. The good news for any budding traveller is that you can still get your Verso fix, in the form of their Travel Series set. It includes my two favourite products, the Day and Night creams, as well as their foaming cleanser, all enriched with their signature Retinol 8 Complex. 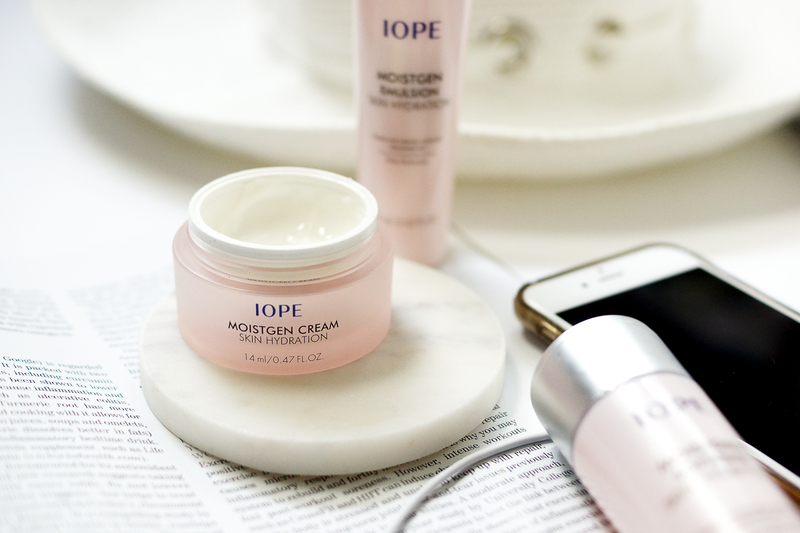 IOPE MOISTGEN - for hydration and plumping. My cousin first bought me IOPE skincare as a gift several years ago so you all have her to blame for any feelings of want over these products ;) The cream offers plenty of hydration and moisture but feels light on the skin, for sunny or humid getaways, and their Moistgen Softener (a toner) is deliciously scented and makes my skin delightfully plump - it's a great alternative to Whamisa's toner. GROWN ALCHEMIST - for the travelling Instagrammer! 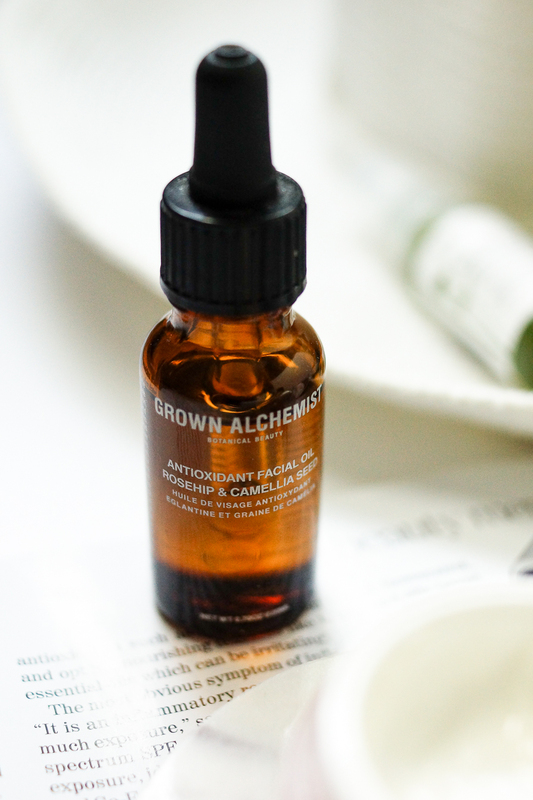 I spoke about Grown Alchemist's skincare back in this post and my feelings towards their products remain positive today. They have a couple of skincare kits to indulge in, so choose accordingly for your skin. 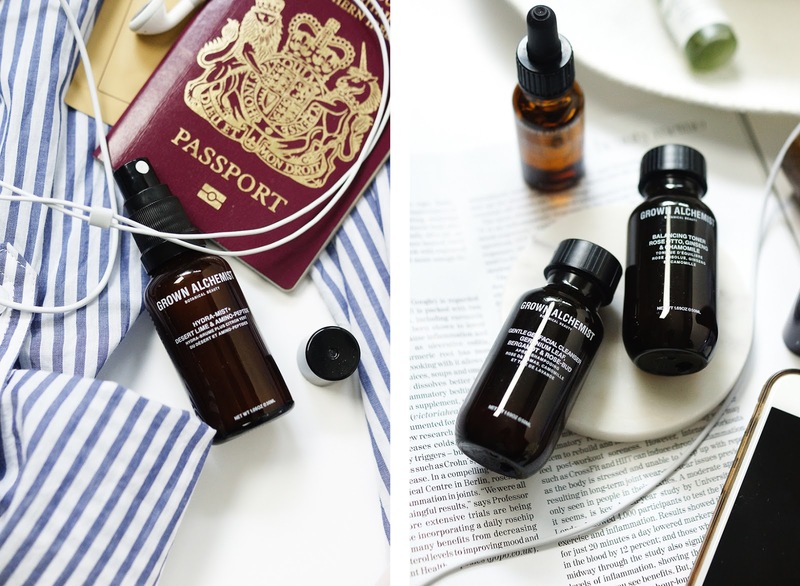 The facial oil is one of my favourites, travel-sized or otherwise, and their facial mist is really zesty and refreshing, perfect for perking up the skin on a hot day. Do let me know what skincare you like to travel with below, I'd love to hear your favourites! I am totally guilty of wanting to take my entire skincare stash away with me when I travel too! Seriously need to invest in one of these travel kits. 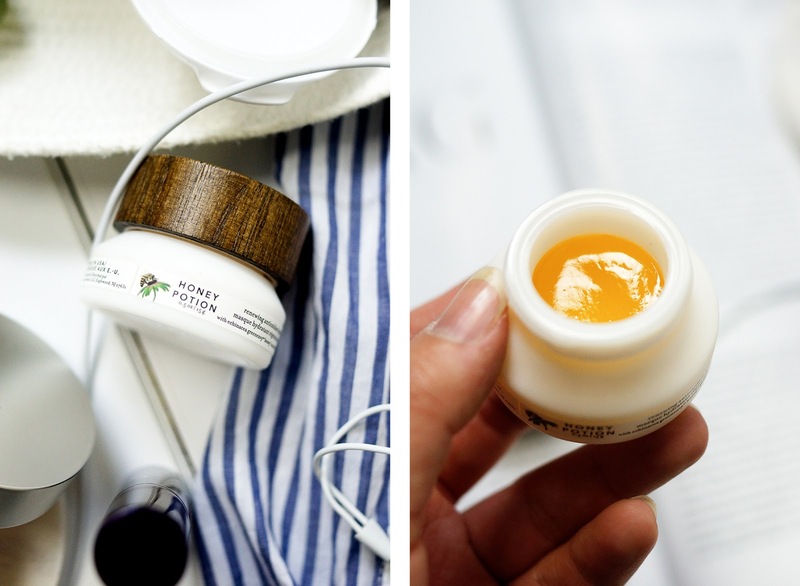 I love honey as an ingredient so the Farmacy set sounds right up my street, always seem to get dry lips when I travel too so the salve would be perfect! Have never seen some of these before so thanks for showing them!